MTB-5K Multifunctional Hand-held Thermal Viewing Binocular has a variety of functions and applications with handheld infrared detection equipment, incorporates a variety of advanced sensors, processing circuits and optical components, observe and detect in day and night using uncooled detector 640X512, provide high-quality high-resolution infrared image, detection from 8km in total darkness, fog and haze fireworks. 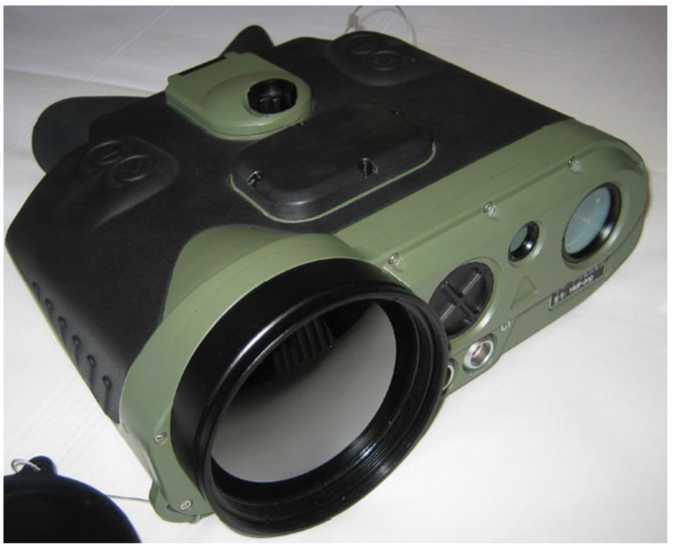 MTB-5K multifunction portable thermal camera also incorporates long distance laser rangefinder, GPS and digital electronic compass, help the observer to locate the observation position, the target coordinates, azimuth and other geographic information, detect and disposal targets. Uses advanced image compression algorithm recorded image that helps users to synchronize sampling evidence. Thanks to ergonomic structure design with professional features and ease operation, MTB-5K provide comfortable use in field conditions and meets the strong requirements of Army, Police & Special Forces. MTB-5K is the solution that significantly reduce the number of required portable surveillance tools, reducing the total weight for user to carry in field, improve the ability to handle a variety of information, shorten the reaction time. The system has excellent IP67 waterproof and dustproof performance, compact structure, light weight, durable, anti-shock and anti-jamming, can be used in all weather conditions. - Built-in long-range laser rangefinder, GPS and digital electronic compass ensures locating the observation position and orientation of the target coordinates and other geographical information. - Based on the fifth generation miniaturized detection technology, ultra-compact design, reducing the overall size and cost, easy to carry and operation. - Aluminum alloy shell, shock resistance, IP67 protection, anti-rain, anti-dust. - NETD 50mk, higher than the sensitivity of conventional products, obtain more delicate picture quality, less effect by rain, snow and fog. - Excellent image non-uniformity correction without TEC temperature control, has good image uniformity and dynamic range. - SDE image detail enhancement, image smoothing noise-free, hot black, hot white, pseudo color optional, adaptable, easy to find low-contrast and hidden object.